In case you ever wondered what tools I’ve used for my blog or need recommendations on things like how to save money online – this is your one stop shop! Be sure to subscribe below to get access to my free resource library! *A few of these links are affiliate links, which means I may get a small commission at no cost to you. As always I don’t recommend what I haven’t used and loved myself. Read more here. P.S. 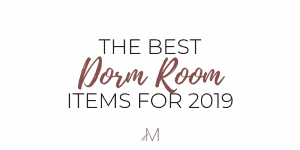 If you haven’t already read my Ultimate College Guide or College Dorm Essentials Guide, you’re missing out! You can learn more about how I use some of the tools listed below in these posts. This is honestly a life (and money and time) saver! You probably use Amazon prime anyway but did you know that you can get a 6-month free trial with by verifying your student email? I literally had a friend who was paying the full price because he didn’t know. Don’t be like him, save your hard earned money! Plus, when your trial expires it’s only half price! Who doesn’t love 2-day shipping at half the price? You guys, I absolutely love Audible! This is the main way I read (or listen to) the books I recommend in my best books for personal development list. I realized that as a college student it can be hard for me to find time to read a book outside of classes, blogging, work, etc. So I use Audible to listen to the books I want to read while I do simple everyday tasks like walk to class, relax in bed, take the train, or when I drive. It makes my goal of reading more books a lot easier because I don’t have to physically pick up a book and read it. You can start a free trial and get two audiobooks for free! FAST SHIPPING: the biggest plus is that you get 2-day shipping. Great if you tend to wait last minute to see if you really need a textbook like I do. P.S: You can also sell your textbooks on Amazon! They also have tutoring and supplemental study material but I haven’t used that aspect of it yet. I’ve been using Grammarly for about 2 years now and I swear by it! 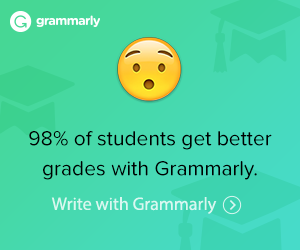 Sometimes we miss the little typos and grammar errors we make when typing papers or typing in general – Grammarly fixes that! I use Grammarly for school and for my blog! After I read over and use spellcheck, I review my work with Grammarly for other errors that may have been omitted. Check it out here. You already know. 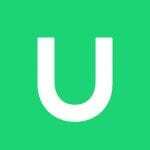 Use my link or code “sensic” for $5 off your first ride. Yet another option to get around if you don’t have a car. 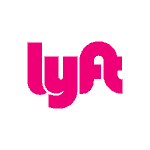 Use my link or code “sensi333808” for a $10 ride credit! Usually has great deals on items and the in-store discounts are included. Use my referral link for $10 off your first order. Try not to get addicted. I’d also recommend subscribing to my newsletter for access to my Free Resource Library for my readers! This includes college checklists, shopping lists, spring break tips, study habits for a 4.0 GPA and more! It’s also updated periodically so you don’t want to miss out! One of the best things I could ever recommend to you, to be honest. Ebates is a platform that gives you cash back on online and in-store purchases at hundreds of stores that you already shop at! Seriously, like if you want to shop at Sephora for example, you just click on the cashback deal through their website and shop as normal. When you make a purchase, they give you cash back on the amount you spent. And you already shop there anyway so why not earn cash back? With my referral link, you can get an extra $10 in cash back after you spend your first $25 at any store on Ebates! Great alternative to staying at hotels (which can get pricey!) when you travel. 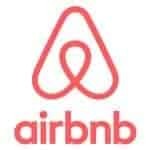 Very affordable rooms, houses, and condos available for booking during your trip. With my referral link, you save $40 off your first booking! 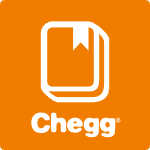 The ultimate resource for finding student discounts at your favorite store! This includes brands like Apple, Best Buy, Microsoft, Asos, Colourpop, Adidas and LOTS MORE! There are also discounts on travel stores to help with cutting costs on spring break, and summer trips! Haven’t started a blog yet? Take my Free 6-Day email course on How to Start a Money Making Blog in College! Super affordable: Only $3.95/month. Get started here. Easy installation and navigation. Read my review + guide on how to get started here. Shareaholic: use to get free floating share buttons on your website to make it easy for your readers to share your content! FREE graphic design tool for social media apps, flyers, and more! Sign up for a free trial here! It’ll be the best decision you ever make to grow your blog traffic. For an in-depth review and guide on how you can get the same results, click to learn How I went from 200 to 100,000 page views on Pinterest in one month! If there was ONE social media platform you NEEDED to get more traffic it would be Pinterest! This is hands down one of the best investments I’ve ever made in my blog! Because of this ebook, not only did my traffic skyrocket, but it helped decrease my bounce rate and keep readers on my blog! This ebook is severely underpriced if you ask me. It’s the most information I’ve ever gotten in any course that I’ve invested in. Lena (the author) gives so much information and practical examples and case studies of the proven strategies she uses to get over 400,000 monthly views to her blog! I would highly recommend investing in Traffic Transformation! Another amazing course that is jampacked with useful and practical information on how to get thousands of views to your blog using Pinterest. In just 2 weeks of implementing Carly’s (author) strategies, my Pinterest views increased by 250,000 and blog views by 8000!!! In all the hours I’ve spent researching how to master Pinterest, I’ve never learned the information provided in this course. I would highly recommend it to put your blog on the fast track for success. If you want to learn how to get thousands of monthly views on your blog you need this course! A very user-friendly platform that automates your email sequences easily. Click here to read my review. Use my referral link for a free 14-day trial! If you’re still trying to decide between 3 of the most popular email marketing tools – Converkit, Mailchimp, and MailMunch – read this article of my review of all three to decide which is best for you. Personally, I think Convertkit is the best option! Pin this page for later!